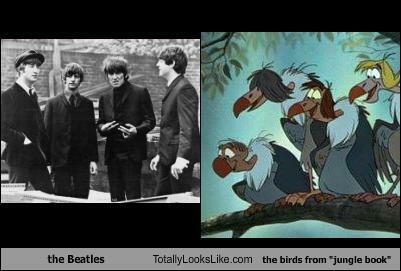 The Beatles were originally intended to voice the vultures from The Jungle Book. Their manager was on board, but Lennon was strongly against it. As they couldn’t get the Beatles, they settled for the next best thing: copying their likeness.